10947 - Xestia oblata and 10946 - Xestia conchis. Uncertain of distribution ranges. 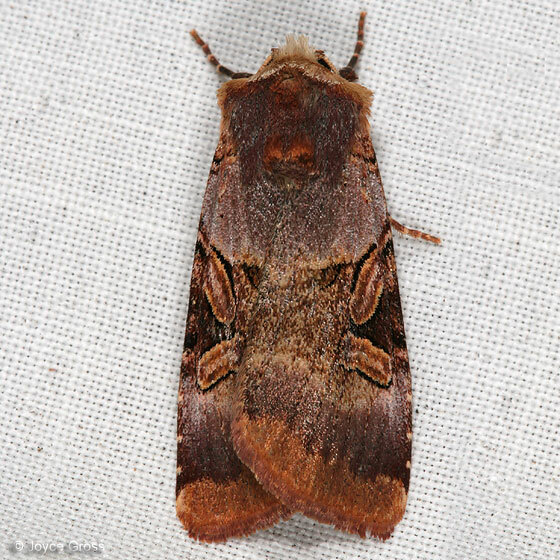 After investigating a bit, I moved this to Xestia oblata because 1) the moths of California database doesn't list X. conchis as occurring in CA, 2) it does list X. oblata as occurring in the county where I photographed this specimen, and 3) it looks like a good match for X. oblata; other Xextias for which I could find photos don't seem to match -- except X. conchis. Like you, I couldn't find what the distribution is of X. conchis. I see the Essig museum has some X. conchis specimens; I'll try to remember to check their county data next time I'm there.